The National Gallery of Macedonia is organising the sixth entry for the national pavilion of the Republic of Macedonia at the 2013 International Art Exhibition in Venice – la Biennale di Venezia. Elpida Hadzi-Vasileva will display her exhibit entitled Silentio Pathologia, a work that bridges the gap between the brutal and beautiful. 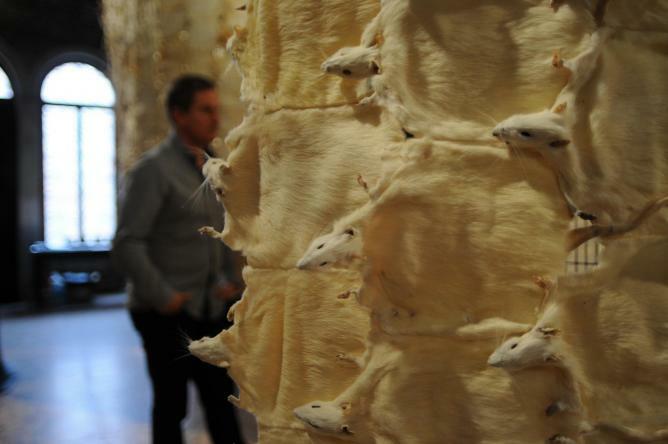 Silentio Pathologia aims to reflect the overarching theme of the Venice Biennale with its ability to utilise both scale and the element of surprise, in order for the viewer to see both their immediate surroundings and the world as a whole differently. ‘Il Palazzo Enciclopedico’ or ‘The Encyclopedic Palace’ is the title which curator Massimiliano Gioni chose for the 2013 Venice Biennale. The theme compels the artists exhibiting to search for relations with different worlds, using ‘historical works, different references, and works that do not claim to be works of art’ to stimulate realities beyond our imaginations. Silent Pathologia will draw upon her original proposal to the Macedonian Ministry of Culture – reflecting the movement, migration and impact of medieval plagues throughout Europe (in particular city states such as Venice) and considers concerns about international migratory illnesses such as coronavirus. Elpida Hadzi-Vasileva was born in 1971 in Kavadarci, Macedonia. She completed her MA in Sculpture at the Royal College of Art, London in 1998 and currently lives and works in Brighton, England. Central to the artist’s approach is an interest in responding to the specifics of a given location: its history, communities and environment. Her site-specific installations work across various media including sculpture, video and sound installations, photography and architectural interventions. She has exhibited extensively; highlights have included The Wish of the Witness (2011), an exhibition of works in a London restaurant following on from an eight month residency. Compulsive, Obsessive Repetitive in Towner Gallery, England (2011) and artSOUTH in Mottisfont Abbey, England (2013). Venue: Scuola dei Laneri, Santa Croce 113/A. 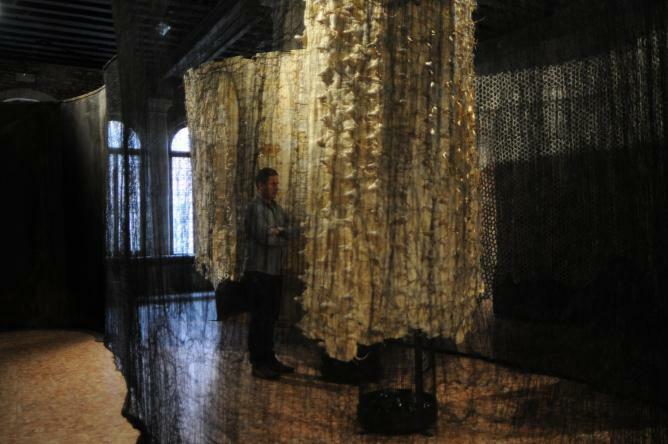 The 55th International Art Exhibition of the Venice Biennale will take place from 1st June ­ 24th November. The Culture Trip‘s Venice Biennale Series is an article series leading up to the start of the exhibition. 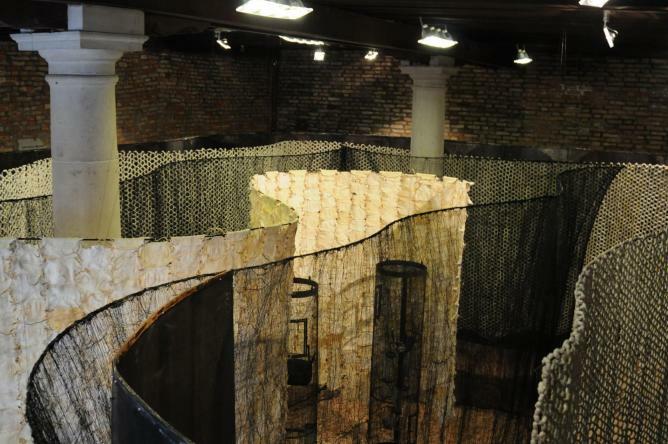 88 countries participate in this year’s Biennale ­­ 10 of them for the first time ­­ and 150 artists from 37 countries, our coverage over the next couple of months will highlight a selection of the National Pavilions that will be participating in the 2013 edition of the Venice Biennale. Watch the Biennale page on our site or The Culture Trip’s Twitter, Facebook and Pinterest pages for our daily Biennale articles and updates.